Thus begins the description of one of the walks in this new English language walking guidebook “Walking in the Ronda Mountains: 30 half-day walks in Andalucía”. 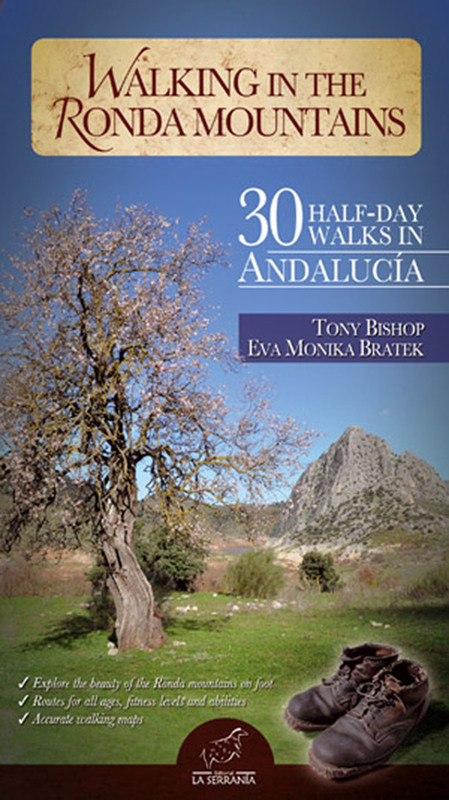 It is written by two experienced walkers, Tony Bishop and Eva Bratek, who live in the village of Montejaque just outside Ronda. All the walks are located in the Serranía de Ronda, reflecting the authors´ passion for keeping a local focus. They also recognise that many people don’t want to spend hours in cars, buses or trains, getting to and from walks. This book provides a beautiful, varied and gentle introduction to the Serranía de Ronda. “Walking in the Ronda Mountains” is a first for the Ronda area: an English-language walking guidebook covering 30 half-day walks in the Ronda mountains that includes notes and photographs on flora and fauna likely to be encountered on each walk. For those who like to stroll through peaceful mountain landscapes whilst admiring trees, wildflowers and birds, this book is ideal. The book takes the reader through some of the most beautiful and yet least known parts of the mountains around Ronda. An increasing number of discerning visitors are now seeking out something different to the Costa del Sol and journey into those inland parts of Andalucía where walking boots are more useful than a bathing costume. They arrive here for the first time and then vow to return. Some even come back here to live permanently. Those fortunate enough to live in this part of Andalucia will also be able to use this book in order to get to know their own backyard even better than before. Several of the 30 walks are accessible by using just public transport. The area covered by “Walking in the Ronda Mountains” includes the Sierra de las Nieves UNESCO Biosphere Reserve, the Guadiaro Valley, the Sierra de Grazalema Natural Park, the upper and mid-Genal Valley, the Sierra Bermeja and the Sierra Blanca. “Walking in the Ronda Mountains” highlights the wealth and diversity of hiking routes in the Serranía de Ronda. Recognising that many people are not interested in climbing mountain summits, Eva and Tony have concentrated on walks on public footpaths in the mountains. During a walk “you should have a sense of being at one with your surroundings, even when the setting is jaw-droppingly magnificent.”The authors bring the rich and diverse birdlife and wildflowers to life with vivid photographs and descriptions. The in-house produced route maps should eliminate any risk of getting lost. The longest walk in this book is about 4 hours. Many are just 1.5 – 2 hours in length, a few even less than that. So the reader will have ample time for rest stops, for admiring their surroundings and for doing something else with the rest of their day. 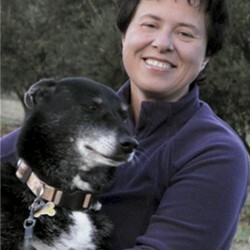 Eva and Tony have also chosen the walks for the way that they contrast with each other, as well as for their individual intrinsic merits. Local ornithology author Juan Oñate summed this book up perfectly: “The authors´ witty and thoughtful passion for nature shines through this much-needed book. 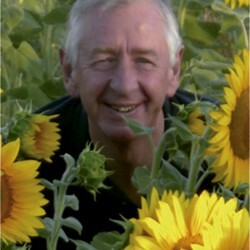 A mix of acute observation, an eye for detail and every encouragement to buy a pair of binoculars”.